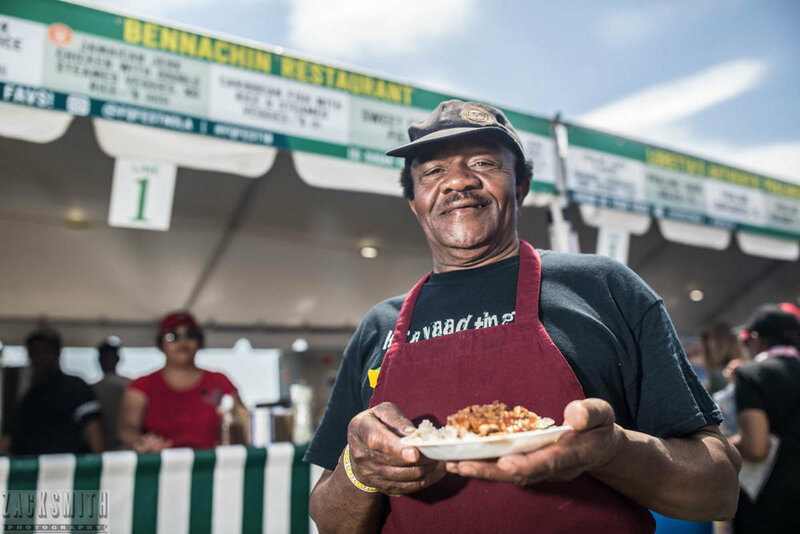 Wow what a year at French Quarter Fest 2018. Three amazing and beautiful days could not be overshadowed by one nasty, wet, and windy one. The festival ended up cancelling Saturday's event, but we succeeded in still finding the magic during 3 days instead of 4. You might notice less images this year but the energy and moments are still evident. Even though I am putting in over 10 miles walking per day for my client, French Quarter Festivals Inc, I always have one of those feet pointed toward my art. 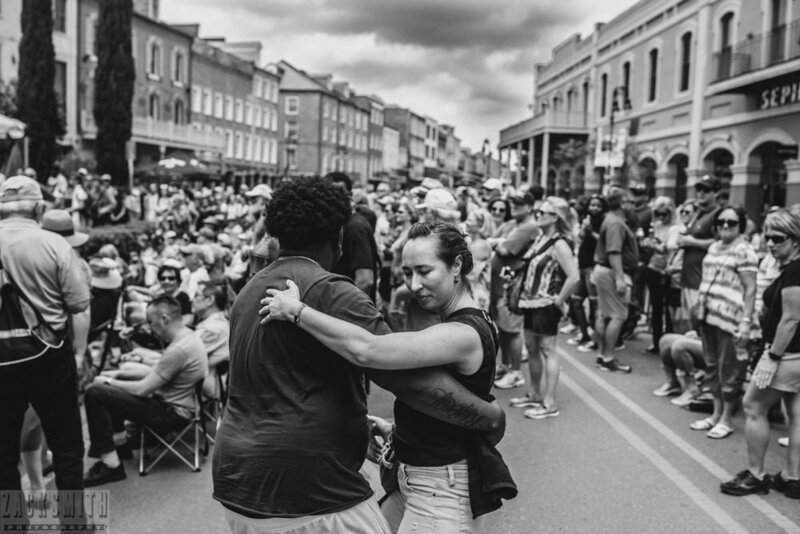 In order to capture the essence of an event such as French Quarter Fest, I have to be constantly scanning the streets of the French Quarter and looking everyone in the eye for that magic moment that is ABOUT to happen. I can't be satisfied with what is happening, because by the time the shutter clicks that moment has left the world. I have to anticipate. I mostly use natural light to document a festival but there are times I need strobes to fill in shadows and equalize the overall exposure of an image. In the image above, and most from the Cajun/Zydeco stage, I utilize two mounted Paul C. Buff 1600 Alien Bees with reflectors. I am able to secure them with grip mounts to the poles on the stage truss. Using a Pocketwizard PlusX system I am fire them off on stage, and even when I am far from the performer giving me a great backlight! A MUST SEE set at French Quarter Fest each year: Mario Abney at Royal Sonesta. John "Spidey 504" Sanpietro performs with the Red Hot Brass Band at French Quarter Fest 2018. 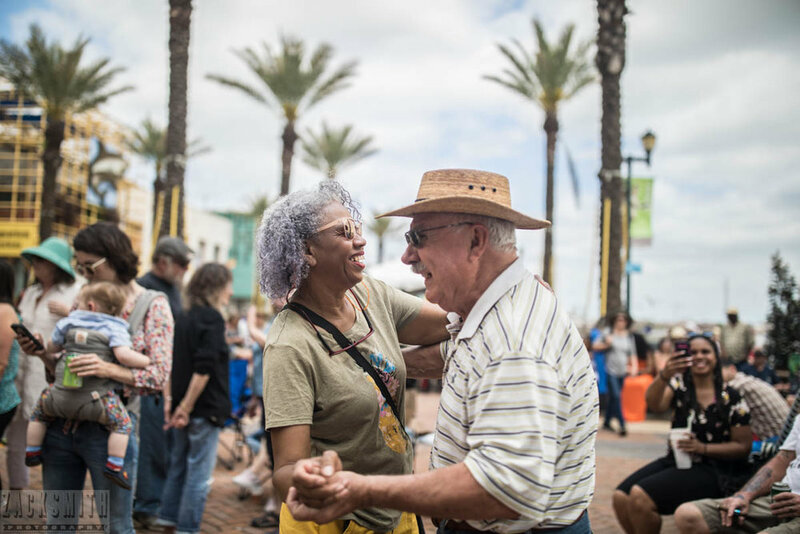 Sean Ardoin putting on another high energy positive Zydeco show! So you might see alot of light that appears "not" natural and you are right, it isn't. At festivals I usually have an assistant with me holding a Paul C. Buff strobe with a battery pack attached. This year my assistant, photographer/musician Chet Overall, had a 1600 White Lightning, Vagabond Battery, and a Beauty Dish on a stand and we used this when I shot street work. Having the added light to fill in shadows and create contrast really help solidify my style and vision. NOCCA student musicians David and Diji after their French Quarter Fest 2018 performance. Paul Sanchez poses with the Film Fest poster promoting his film; Nine Lives. Dancing in the Dusk at French Quarter always saves the last dance...for you. Want to see More Festival Photography?